Last month, Rogue Ales & Spirits released two new hard ciders made from ingredients grown on Rogue Farms in Independence and Tygh Valley, Oregon. Fruit Salad Cider is inspired by Oregon’s rich fruit bounty. It’s packed with cherries and plums grown on Rogue’s own farm in Tygh Valley, in addition to apples, pears, marionberries, peaches and apricots grown on rich Oregon soil. Fruit Salad Cider is a true taste of the terroir of Oregon. 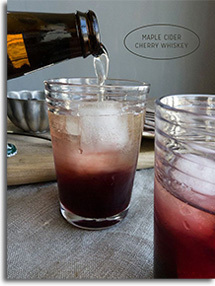 This cider is characterized as sweet, tart, dry and fruity. 7 Hop Cider is created with all seven varieties of aroma hops grown and harvested at Rogue Farms in Independence. All seven are used to dry hop Rogue’s signature blend of heirloom and Newtown Pippin apple juice, resulting in a crisp, dry cider crafted with a proprietary palate of ingredients. “We started crafting cider because we have the story of our Rogue Farms to share,” said Rogue President Brett Joyce. Rogue Cider 22-ounce serigraphed bottles are currently available for purchase ($8.95 per bottle) at all Rogue Ales Public Houses and on Rogue.com. Bottles and draft will be available in select markets nationwide beginning in December. Rogue Ales & Spirits is an agri-fermenter founded in Oregon in 1988, as one of America’s first microbreweries. Rogue has won more than 1,400 awards for taste, quality and packaging and is available in all 50 states and 48 countries. For more information visit Rogue.com. 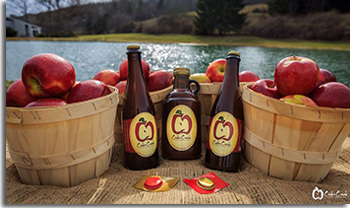 One year after Governor Cuomo passed the Farm Cidery Law, New York craft cidermaker, Cider Creek Hard Cider, a product of Cunningham Creek Distributors, is now for sale in metro Mew York exclusively with Manhattan Beer Distributors. The craft cider company, funded by Kickstarter earlier this year raising over $25,000, started producing and self-distributing out of a barn on a 2,500 acre family beef farm in Canisteo, New York. “We are extremely excited to add the Cider Creek brand to our cider portfolio. As a fresh pressed, local, New York State brand, Cider Creek fits perfectly into our portfolio of exquisitely crafted local beer, spirits and ciders. It is one of our goals to continue to work to develop New York state produced brands. We feel the market is ripe for great people, like Kevin and Melanie, and the locally sourced products that we can help grow in the metro New York area,” said Robert Mitchell, VP of Craft, Wine and Spirits at Manhattan Beer. Cider Creek Hard Cider will be sold throughout the distributor’s territory including the five boroughs of New York City, Long Island and other metropolitan-area counties. The cider is also sold throughout areas of Massachusetts with Atlantic Importing Company. In addition to getting a push from the distributor, Cider Creek Hard Cider can also be found in Taste NY stores across New York. Governor Cuomo started piloting these stores to promote New York’s Agricultural economy and recently expanded the initiative, designed to triple gross sales of participating vendors in 2015, to include a Taste NY store, now open in New York’s Grand Central Terminal. Original Farmhouse Cider offers an effervescent apple bouquet that delivers authentic cider aromas. It is made from a combination of old world influence and new world flare, and is unique in both design and character. A true American artisanal cider, the Farmhouse is a perfect balance of sweet and dry leaving your palate with a crisp, clean finish. The unfiltered nature of this cider maintains product integrity and leaves a hint of rich apple sediment in your glass. The sediment helps the cider mature and delivers a robust, full-flavor profile. 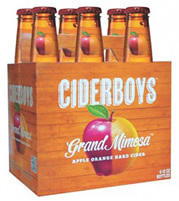 The cider is naturally gluten-free and packaged in a 16-ounce bottle. 6.9% ABV. Saison Reserve Cider is also 6.9% ABV, naturally gluten-free and packaged in a 16-ounce bottle. It is also unfiltered like the Farmhouse. However, the Saison Reserve combines the Farmhouse recipe with a rare strand of Belgium Saison yeast to create a complex, aromatic, palate of mild, fruit flavors with just the right amount of spices. 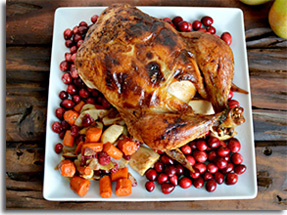 It has earthy undertones, moderate tartness and semi-dry sweetness that is well-balanced. The company sources all of its apples from New York State farmers, then ferments, bottles and packages all products by hand and currently has the capability to produce up to 300 barrels per month. Last fall, the company personally pressed 70,000 pounds of apples. 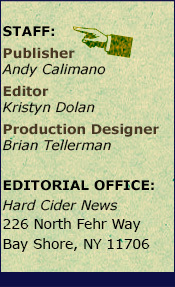 For more information, please visit CiderCreekHardCider.com. 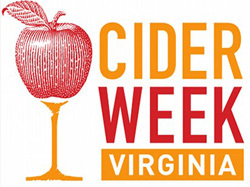 From November 14-23, 2014, Cider Week Virginia festivities will continue the tradition of sharing delicious, locally fermented, artisanal ciders from across the Commonwealth. This third annual celebration of craft cider brings together ten Virginia cideries for a bevy of delicious tastings, workshops and other events sure to engage, entertain and educate participants. 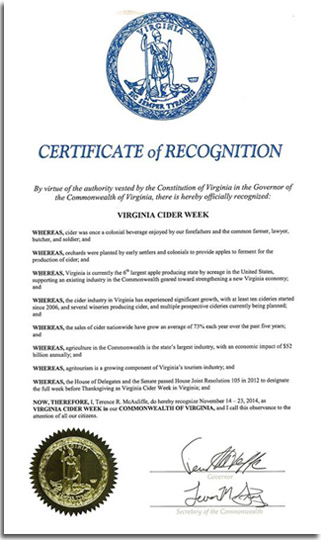 In 2012, the Virginia Governor’s Office made an important Cider Week Virginia Proclamation, making the state the first to have an officially proclaimed “Cider Week.” This year the tradition is continued, bringing wider recognition to a historic craft that increasingly fosters economic growth and tourism for the state. Virginia is currently the sixth largest apple-producing state by acreage in the country, and cider is a rich part of the state’s heritage. Cider had its first heyday in 18th and 19th century Virginia, when it was enjoyed by some of the most notable residents, including Thomas Jefferson, John Adams and George Washington. Cider production came to a halt with Prohibition, but today’s Virginia cidermakers are reviving tradition by growing the original cider apple varieties and crafting hard cider with modern fermentation methods. Enjoying a wonderful reputation for quality and versatility in pairings, craft cider is once again gaining popularity. “The market is growing by leaps and bounds, here in Virginia and elsewhere, and with this growth comes the diversity of styles and offerings that has made craft beer such a vibrant and constantly renewing industry, “ said Tim Edmund, Co-Owner of Potter’s Craft Cider. Throughout the week, there will be tastings, workshops, tours and other offerings at restaurants and cideries across Virginia. For the full schedule, tickets and additional information, please visit CiderWeekVA.com. Photo courtesy of Facebook.com/VirginiaCiderWeek. Local soils and climatic conditions favor the production of apples with the highest fruit quality, which has been a competitive advantage for the mid-Atlantic fruit industry over the years. Combine this with the growing interest among consumers for hard cider, and producers exploring alternative markets for apples, and you have interested farmers looking to get into the hard cider industry. Are you one of them? Maybe you’re not a farmer but would like to get into the cidermaking business? The Pennsylvania State University (PSU) College of Agricultural Sciences is serving as a resource to apple growers and cidermakers alike. The Penn State Fruit Research & Extension Center is taking the lead guiding cidermakers on apple varieties, cidery business planning and more. On Tuesday, January 13, 2015 from 8AM-3:30PM the PSU Extension will be hosting an “Introduction to Hard Cider Production” class in Biglerville, Pennsylvania. The seminar will feature guest speakers from Cornell and Virginia Tech who will address traditional American and European apple varieties for cider fermentation, cider apple budget tools, cider market potential and long-term prospects for hard ciders in the United States. Penn State Enology Extension Associate, Denise Gardner, will discuss fermentation, sanitation and stabilization. The day’s education will give you a fast-track understanding of how to establish a hard cider orchard and important considerations for cider production. The full program agenda can be viewed online. The program fee is $120/person and includes a tasting of hard ciders of various flavors, a catered lunch and take-home resource materials. To register for the program, please click here. The registration deadline is Monday, December 15, 2014. Blue Bee infuses this new vintage release cider primarily from Summer Rambo apples with bramble berries to accentuate the cider’s sharpness and fruit notes. It is a seasonal pink cider infused with raspberries and blackberries, and is available in 500mL and 750mL bottles in Washington DC, Maryland, North Carolina and Virginia only. “This Winesap fermentation is a revelation, it has a strange and lovely cotton candy aroma and a surprising savory note to the taste. It’s citrusy and salty, almost reminiscent of a margarita, with a punch of acidity and a nice, dry finish." said Austin Eastciders’ Founder Ed Gibson. 2 Towns Ciderhouse, Nice & Naughty Spiced with whole cinnamon, nutmeg and clove, this cider is a seamless transition to the harvest season, with flavors reminiscent of baked apple and pumpkin pie spice. At 10.5% ABV with a balanced finish, Nice & Naughty is an adult answer to those seeking out the season’s signature flavors, without overwhelming sweetness. It is currently available throughout Oregon, Washington and California. A winter seasonal offering, Grand Mimosa combines succulent orange juice with the crisp taste of apple juice from Washington state apples. The 5% ABV cider is described as sweet yet tart and uniquely juicy in aroma. A tart blueberry cyser, wild yeast influenced, blended with skin contact fermented blueberries. It is dry and funk forward with a lingering fruitiness that’s a sure cure for the blues. 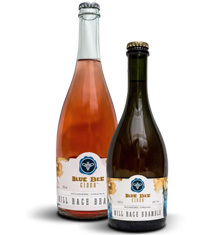 Bluesberry is a seasonal small batch cider for Millstone Cellars that is made from fusing old-world oak aging methods with new world flavors and techniques. 10% ABV, gluten-free and bottle conditioned. Sir Charles Hard Cider, the inaugural brand of Pennsylvania craft hard cider producer and startup, Original 13 Ciderworks, launched their first batch of American craft hard cider at the 2nd Annual Pour the Core: Hard Cider Festival that took place at the Philadelphia Navy Yard last month. 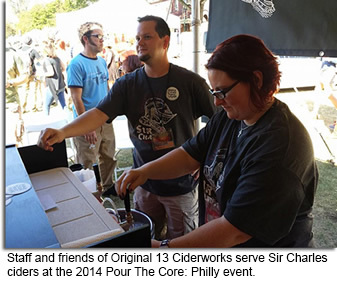 Sir Charles is the brainchild of owner and founder John Kowchak, a native of the Greater Philadelphia area, who is continuing his family’s tradition of brewing craft hard cider. Kowchak’s grandfather, Charles, had a tradition of brewing hard cider in his basement and giving his special brew to all of his neighbors as gifts during the holidays. Kowchak has continued the family tradition by launching his brand of craft cider in Philadelphia for all to try. Original 13 Ciderworks was formed in 2013 and has been working to establish the groundwork for a craft cidery. Kowchak graduated from the University of Scranton in 2000 with a degree in history and received his MBA from Drexel University in 2012. As well as being an avid home brewer, Kowchak traveled to England where he attended the International Cider and Perry Academy in 2013. Original 13 Ciderworks is working in partnership with Tamanend Winery in Lancaster, Pennsylvania to produce Sir Charles hard cider utilizing 100% locally grown fresh pressed apples. The initial batch of 120 gallons was brewed in two varieties: an American sweet cider and a traditional English dry cider. Kowchak sampled these two varieties at the Pour The Core: Hard Cider Festival in Philadelphia and received overwhelming support and positive feedback. The company plans to launch a Kickstarter campaign in the coming months and to begin distribution in 2015. For more information about Sir Charles Cider, please visit them online at SirCharlesCider.com. Photo courtesy of Facebook.com/Original13Ciderworks.